Superman faces a unique and unexpected foe in Action Comics 848, which brings Superman to question himself, and the motivations of the foe.This week, we take a look at the Superman comics on shelves with a cover date of May, 2007. 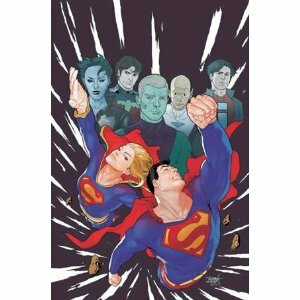 Over in Superman 662, Camelot Falls picks up, and leaves us with more questions than answers. Subjekt 17, Zatanna, Power Girl, and Sirocco all make appearances, as well as a surprise cameo. And finally, the Dark Knight and the Man of Steel team up to face… Doc Magnus and the Metal Men??? It’s all in Superman/Batman # 34. Remember to come back Sunday for an all new episode. It is time to address the casting of Diane Lane as Martha Kent, and the rumors surrounding Viggo Mortenson as Zod, or Daniel Day-Lewis taking on the role of Jor-El. Plus, how can you be a part of the OTHER Superman movie being made at the moment. Now you can be a part of Superman:Requiem right here. 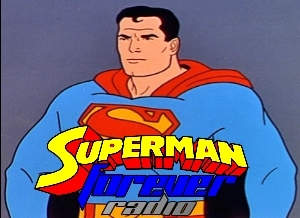 Clark Kent lands on Earth, comes of age, and dons the blue, red, and yellow for the first time in the second episode of Superman: The Animated Series. This week continues our journey through “Last Son” in Action Comics, and a footnote to “Camelot Falls” in Superman. We wrap up “The Enemies among Us” in Superman/Batman, and find out what scares Superman in Superman Confidential.